According to Tech Crunch, Windows 9 will be revealed on September 30th, 2014. It is rumored to bring back the start menu in some form. Hopefully the new operating system will be closer to the Windows 7 experience. The metro experience is supposed to be better integrated with the Windows 9 desktop. It will be interesting to see what Microsoft reveals in September. 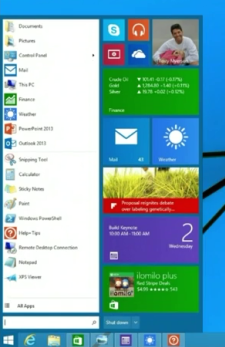 I am hopeful that Windows 9 will be similar to Windows 7. I recently downgraded from Windows 8 to Windows 9 because of driver issues. Windows 9 is rumored to go public sometime early next year. What direction do you want to see Microsoft take with Windows 9?